It is disseminating the rumor that once Kevin Jonas gets married to fiance Danielle Deleasa he will be going out the Jonas Brothers – stranding Nick and Joe to take a stab at solo careers. According to versions Nick has already planned his solo tour for 2010. But Kevin has made clear that he has no plans to start a family with Danielle right away. Danielle even toured with the group this year and can do the same in the future. 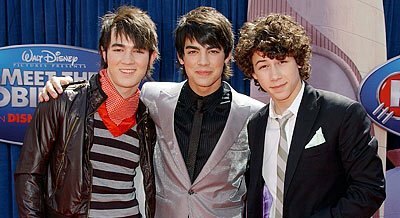 Baker then added Jonas Brothers would not split if Nick released the record. “JB is not ending or even breaking. Just a side project between JB albums…” he said.